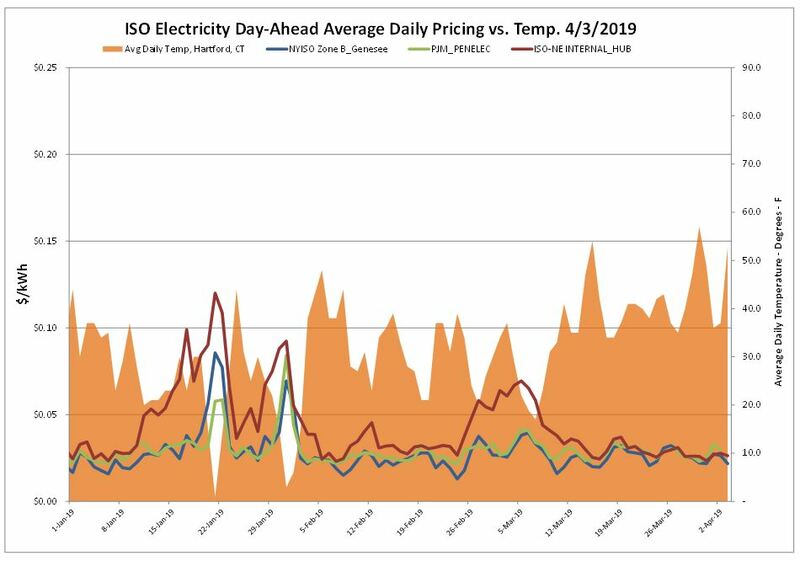 Although prices aren’t as low as they have been historically in ISO-NE, there are new dynamics in the New England region that now play a part in the electric price mix. Lack of natural gas pipeline capacity combined with multiple plant retirements make it unlikely that we will get back down to levels lower than the $0.04/kWh resistance level. Electric prices remain in a good position relative to recent history and where we were last Fall. ERCOT was down slightly over the report week and NYISO & PJM remain basically unchanged. The balance of Mach was quiet, and the day-ahead market has remained in a settled state over the last few weeks. 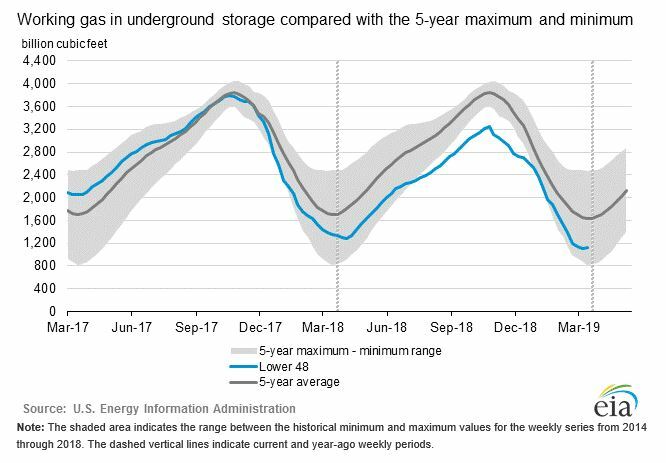 Record setting total U.S. dry gas production seemingly overshadowed the fact that we have ended this season with storage at the lowest levels dating to 2014. Prices still remain favorable for April, which can sometimes see some volatility with lingering winter resistance. 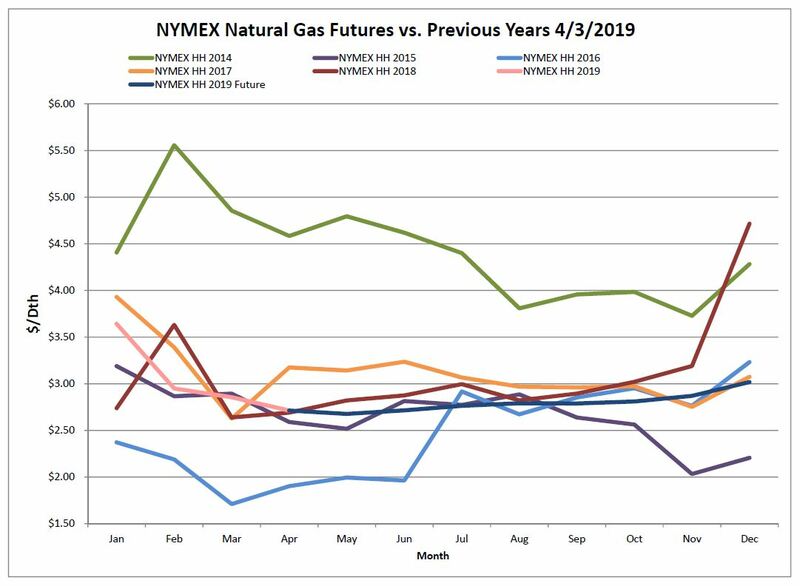 Fundamentals remain weak as natural gas production is strong, demand is lower than this time last year and weather forecasts indicate little risk of extreme weather in the near-term. The first storage injection of the season was reported with a net increase of 23 Bcf! This year, milder weather allowed injections to start about a month earlier than what we saw last year, with a heftier injection than expected. The market had only expected around a 13 Bcf injection. 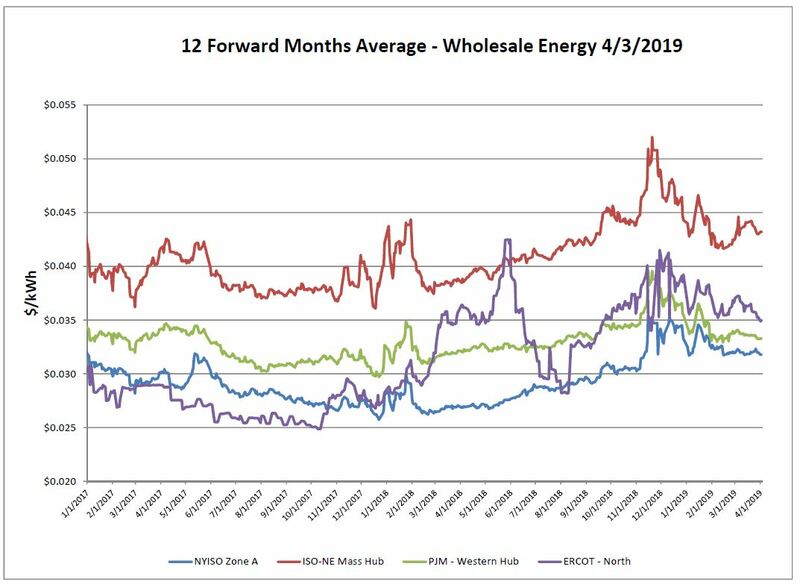 Working gas in storage was 1,130 Bcf as of Friday, March 29, 2019, according to EIA estimates. For end of season totals, stocks were 228 Bcf less than last year at this time and 505 Bcf below the five-year average of 1,635 Bcf. 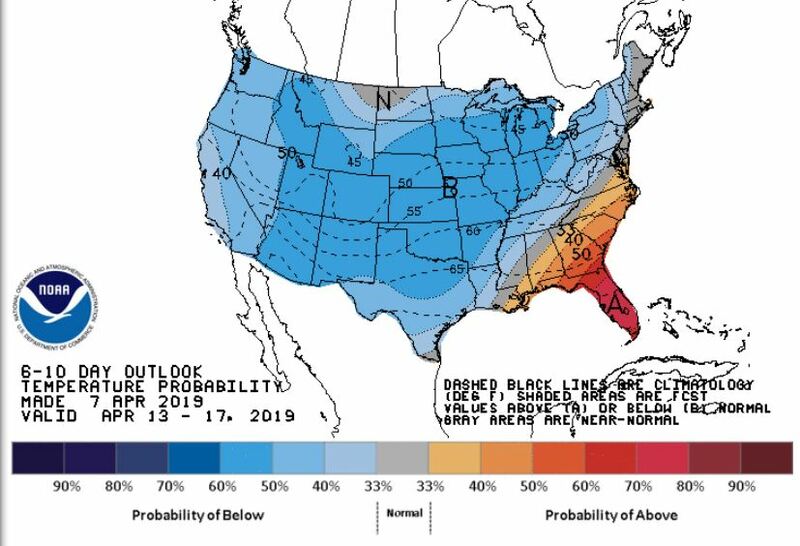 We’re likely to remain at a deficit to the 5-year average for weeks to come however hopefully the deficit can start to build and close in on a more normal range in the coming weeks as temperatures moderate across the U.S. 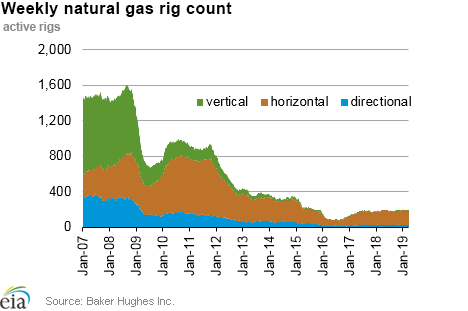 The Baker Hughes exploration gas rig count increased by 4 rigs from last week for a total of 194 rigs. This is the same number of rigs as were in operation at this time one year ago. The 6-10 and 8-14 day weather outlooks show slightly below normal temperatures through the third week of April. To ease load on the electric system, normal to slightly above normal temperatures are ideal. A hasty increase in Spring temperatures may require gas to be used for cooling, and we need time to refill storage levels.